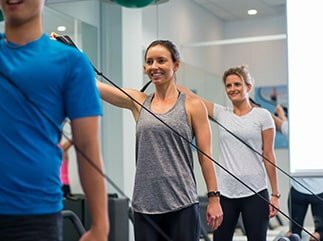 Have you heard of the Netball Knee Program? The Suncorp Super Netball series is heading into finals! Even though my team, the NSW Swifts have missed out this season, this netball fanatic will be glued to the screen watching some amazing athletes work their magic on the court! Netball is ranked as the leading women’s participation sport and the top team based sport in Australia for 15-24 year olds. Over 1.2 million participants enjoy the game nationally. I was a netballer from the age of 7 until my “retirement” following an ACL injury at 18 years of age and subsequent meniscal injury at 26. Unfortunately Im not the only one with this story! 65% of athletes who suffer an ACL injury do not return to the sport, and those who do often return at a lower level of competition. Knees and ankles are the most commonly injured body parts of netballers and most of these injuries occur when landing. In particular injury to one of the major stabilisers of the knee, the Anterior Cruciate Ligament, is a common problem, representing roughly 25% of serious injuries annually. Knowing all too well the devastation created by serious knee injuries, Netball Australia’s KNEE Program is designed to prevent them occurring. Despite my early exit as a player I have been lucky enough to continue my involvement in the sport as a physio for NSW and at the Commonwealth Games on the Gold Coast. 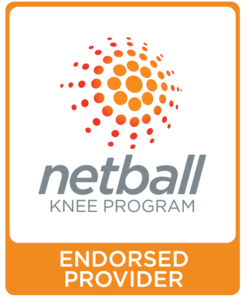 I am happy to say that I am a Netball Australia nationally endorsed KNEE program provider. I have a passion for injury prevention and netball alike so I strongly encourage you to have a look at this program and speak to me about it! WHAT IS IT? The KNEE Program is a courtside warm up to assist coaches in preparing their players to train and play. It targets how to land and how to move safely and efficiently. WHY DO IT? 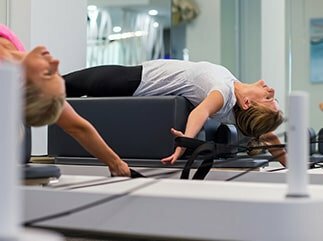 The KNEE Program is based on programs that have been proven effective in reducing lower limb injuries generally and specifically reducing ACL injuries from 40–70%. It will also improve efficiency of movement on court. HOW LONG DOES THE PROGRAM TAKE? It should take no longer than 10–12 minutes each session. This program is the perfect program to implement in the off season for enhanced performance and injury prevention. Whether you are a coach to your child’s netball team, high performance coach, support staff or parent, this program is designed to keep your players on the court for longer and moving more efficiently when there. As an athlete this program aims to keep you playing the sport you love without being sidelined by injury.